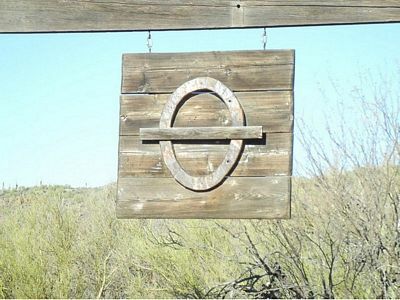 Circle Bar Ranch - Maricopa County, AZ - Headquarters West Ltd. 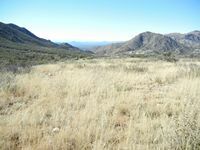 The Circle Bar Ranch is located northeast of Fountain Hills on both sides of S.R. 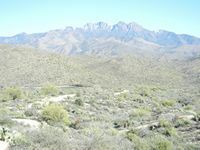 87, north of the Salt River and south of Sunflower, from Four Peaks on the east to the Fort McDowell Reservation to the west. 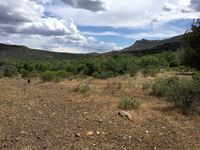 Leasehold estate in the Sunflower Grazing Allotment on the Tonto National Forest, Mesa Ranger District - 525 head ow/calf year round on 97,885 acres. The ranch's 10.259 acres of deeded land are in the area known as Sunflower. Access is from Old SR 87 which is a paved road and has a deceleration lane with cross over off the Beeline Highway. Old SR 87 dead ends at Sunflower. Maricopa County APNs 219-05-011Q and -041B. Zoning is RU-43. There are no utilities at Sunflower. Custom homes in the neighborhood utilize solar or generators. Sunflower is outside of the Phoenix AMA. 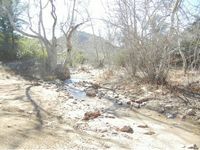 Parcel -041B is 8.43 acres located on Sycamore Creek. 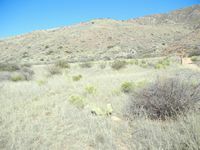 The parcel has a drilled (unequipped) well and has a nice building site for a ranch headquarters overlooking Sycamore Creek. 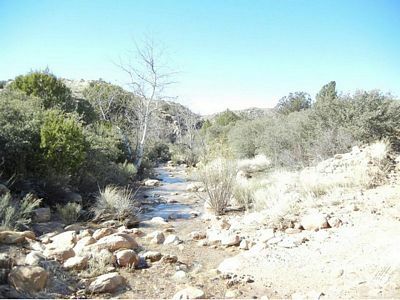 Parcel -Ol1Q is 1.87 located overlooking Sycamore Creek but does not have frontage on the creek. The parcel has a drilled (unequipped) well. 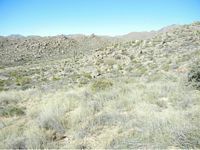 There is room for one homesite on this parcel. The elevation of Sunflower is approximately 3,500' and is 32 miles south of Payson and 57 miles northeast of downtown Phoenix. The Sunflower Grazing Allotment is for 525 head cow/calf year long on 97,885 acres. There are four units within the ranch which each are rotationally grazed by separate herds. 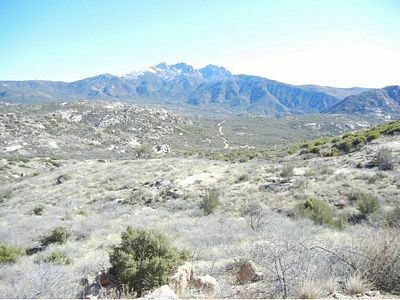 Elevation of the ranch is 1,540’ on the desert to 7,657’ at Brown’s Peak, the northern most peak of Four Peaks. 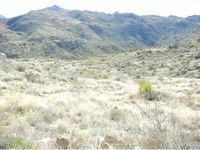 Vegetation is extremely diverse with Sonoran desert scrub, semi-desert grassland, interior chaparral, pinyon-juniper, some ponderosa pine and riparian. About 60% of the annual moisture occurs from December to March, while most of the balance occurs during the summer monsoon from July to September. At the lower elevations 11” of precipitation is typical, while at the higher elevations 24” plus snow are common. The Heber-Reno sheep driveway bisects the ranch. Also included in the grazing allotment mainly on the south and west end are 56,724 acres of non-use (will not currently be grazed) lands. Initial stocking rates will be lower, with annual monitoring between the permittee and the USFS the capacity will be built up. There is a tremendous amount of feed on the ranch. Below are the estimated initial stocking capacity and subsequent maximum stocking capacity permitted by the USFS. The field on the right notes capacity numbers based on 2014 production data from monitoring. Above is the carrying capacity per unit and per pasture along with acreages. To view the signed Decision Notice and Finding of No Significant Impact authorizing grazing for the Sunflower Allotment click here. Initial stocking will not occur until all existing water developments and all new/existing fences are functional and maintained. Several new areas of fence will be required (for new Ballantine pasture and splitting Cottonwood East/West), while typical maintenance on existing fences will be needed. Corrals throughout the ranch need to be rebuilt and/or maintained. Improvements can be completed by unit and then stocking can occur in that unit, rather than the entire ranch at one time. There is a lot of natural barrier boundary within the ranch which will be used for the new grazing system on the ranch, cattle in the four units will need to be ear tagged with different color tags to ensure cattle drift between the units does not occur. 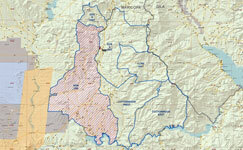 Areas of the south and west ends of the ranch have heavy recreational use, the heaviest areas of recreational use are in the non-use area of the ranch. 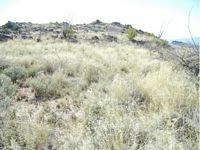 Also within the non-use area is Sonoran Desert tortoise habitat. As of early 2016 the USFS has issued an Allotment Management Plan and the Term Grazing Permit. 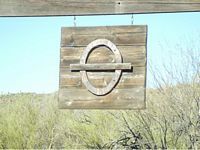 The Circle Bar Ranch has been in the same family for over 100 years. With the diverse vegetation and size of the ranch, this is one of the larger sized ranches that is actually capable of running this amount of livestock. The ranch conveys with 100% of whatever mineral or water rights the seller actually owns. 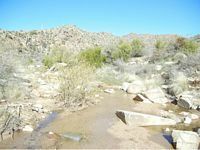 The seller and broker make no representation as to the quantity or quality of any mineral, other sub-surface or water rights appurtenant to the property. The information provided herein was btained from sources deemed reliable but is not guaranteed by the broker. Prospective buyers should check all the facts to their satisfaction. The property is subject to prior sale, price change or withdrawal. Please click here to download (about 3 MB) a printable brochure in Adobe Acrobat format. If you get frustrated trying to make this work on your computer, don't hesitate to ask us to mail you a printed and bound brochure instead.